Are Boston’s dive bars disappearing? 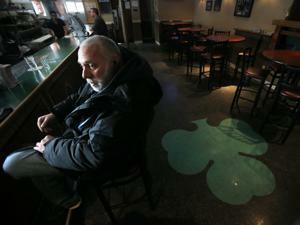 Jimmy Maher, left, sits with owner Bill "Touchie" McDonough at the Shamrock Pub on EighthStreet in South Boston. One in a series of occasional articles on how the building boom is changing life in Boston. One by one, Boston is losing its dive bars. There’s a hole in the ground on West Broadway in Southie where the Cornerstone Pub once stood, the bar and its lottery-ticket vending machine razed to make way for 49 LEED-certified condos. A few blocks away, on A Street, Bob Desimone, the owner of the Williams Tavern, is still pouring beer for his regulars, but not for much longer. At 69, he’s retiring and a developer is seeking approval to replace the one-story brick building with The Residences at One Hundred A. Across West Broadway, The Quiet Man Pub is now Stephi’s in Southie and a Starbucks, cheap bottles of beer having given way to skinny mochas and Thai lettuce wraps. Look around the city at the glossy new buildings and companies and it’s easy to see what’s knocking over the worn bar stools: rising rents, land values, and changing tastes and demographics. 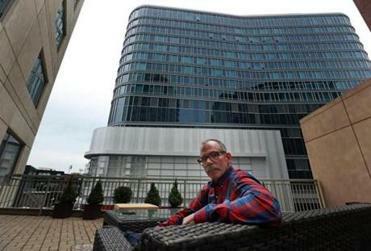 Amid $7 billion in construction, Boston residents are seeing the skyline shift. It’s also easy to see what’s being lost: a place where neighborhood folks can feel comfortable just being themselves, where they can meet casually — without worrying about drinking and driving and parking — and without having to spend an hour’s take-home pay for a glass of beer. There’s no definitive tally of Boston’s dive bar die-off, but here’s what is known: Between 2011, when writer Luke O’Neil published “Boston’s Best Dive Bars,” and last month, when two obsessed readers completed a crawl of almost all the bars listed, about 20 of the 70 or so Boston dives closed. Southie resident Scott Coffey at the Shamrock Pub. “Sometimes I’d be on Yelp looking at the reviews but by the time we got to the place it was too late,” said one of the bar-centric anthropologists, Robert Buckley, 36, a project manager for a restaurant design firm. In neighborhoods where real estate is hot, such as South Boston and the Fenway, restaurants are paying in excess of $50 per square foot per year in rent — a 75 percent increase from five years ago, said Martin, a managing director with Newmark Grubb Knight Frank, a commercial real estate advisory firm. As longtime owners age along with their bars and turning a profit gets harder, there’s an incentive to liquidate a lucrative asset while real estate is booming, said Kristen Scanlon, an attorney who specializes in liquor licensing and permitting. The going rate for a liquor license is about $400,000, up from as low as $250,000 in 2011, she said, and $200,000 about 10 years ago. In Brighton, Hogan’s Run on Lincoln Street, where the clientele had a reputation for being “rough around the edges,” has turned into the Lincoln Bar & Grill. Wednesday evenings are now Trivia Night. The old Penalty Box across from the TD Garden is gone, too. Now it’s the Causeway Restaurant & Bar. And perhaps nothing offers a more distilled view of changing Boston than the contrasting Yelp reviews. But when Lauren C. of Boston reviewed the restaurant that replaced the Penalty Box, she appreciated something different: “The bartender poured and had ready a glass of water with a lemon on side,” she wrote in her five-star review of the Causeway. The admittedly negative connotation of the term “dive bar” notwithstanding, the city feels such bars (and other small businesses) are important and actively works to keep them in business, said John Barros, Boston’s chief of economic development. The city can help a bar find a new home, he said. It can also educate an owner about transferring a liquor license, and, when neccessary, talk to the existing landlord about giving a bar more time to move. Sometimes of course, it’s the owners themselves who want out. After more than 30 years of running the Quencher, on I Street in South Boston, the co-owners said their time had come. “It was just time to move on, you know,” said Joe Nee, a retired firefighter. Nee was asked about what happened to his regulars. “They find their way somewhere,” he said. They’re drinking nearby at the L Street Tavern, he said, and at Touchie’s Shamrock Pub and Tom English’s Cottage. “Not here” = $1. “On the way home” = $2. “Just left” = $3. “Haven’t seen them all day” = $4. “Who?” = $5. 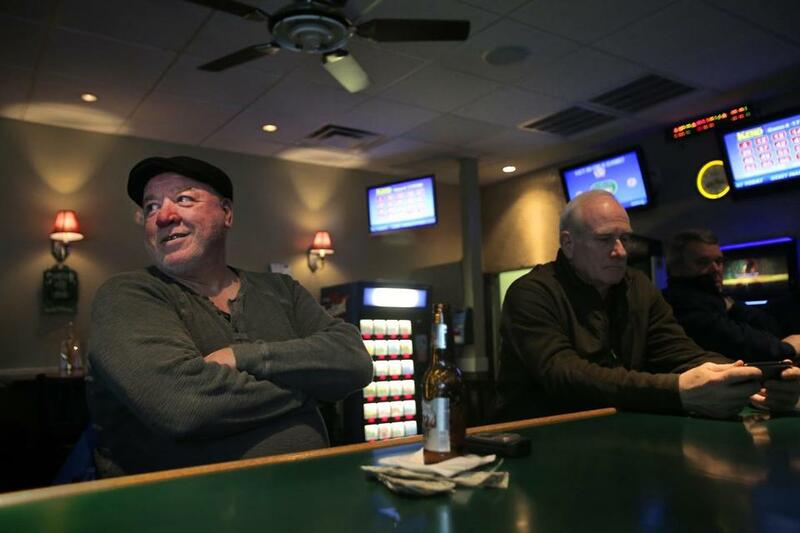 As he sat at the bar making his way through an $18 bucket of six Bud Lights, George Harris, 58, a Teamster from Southie, bemoaned the world changing around him. • Cheese biscuits: Best straight out of the oven?